Donn Bhat is a genre-defying, live experimental electronica producer and composer. He has been a known face and name in the Indian independent music scene since the release of his debut album in 2006. Since the beginning of his musical career, Donn Bhat’s music has been featured on various platforms, including the MTV television series ‘Bring On The Night’. In 2011, he was featured as the BBC artist of the month on the Bobby Friction show aired in the UK. His versatile musical abilities have also seen him compose music for popular Bollywood films, including a song for the film Vicky Donor, Mar Jaiyan. In October 2014, Donn Bhat released his sophomore album, ‘Passenger Revelator’, an 11-track record that features collaborations with various musicians. These include Baul singer Malabika Brahma, for the song 107, and the electronic musician and vocalist Ashhar Farooqui, aka Toymob who sings the song Stars Align, which became a huge hit and has received much radio play since its release in 2013. Donn Bhat followed up the release of ‘Passenger Revelator’ with his first-ever music video, for the song Disco Disco. The video was selected for the Music Video category at the prestigious SXSW Festival. 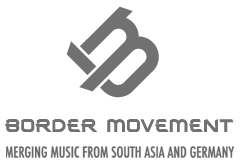 After releasing his music online for years, in 2013 Donn Bhat put together a band to take his music live with an extended setup. He has played innumerable gigs across the country and won a number of fans in the process. In June 2015 he took his performance internationally where he performed in Reunion Island and then later at Glastonbury, one of the most prestigious music festivals in the world.